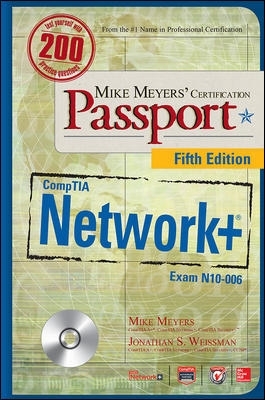 Dimensions: 5.9" x 0.9" x 8.3"
Bestselling certification author and CompTIA training expert Mike Meyers updates his CompTIA Network+ Certification Passport to give you concise focused coverage of the new N10-006 exam. In Mike Meyers' CompTIA Network+ Certification Passport Fifth Edition, the #1 name in professional certification provides you with an intensive focus only on what you need to know to pass CompTIA Network+ Exam N10-006. The Passport series provides an accelerated review and exam preparation for CompTIA Network+ candidates. In addition Mike Meyers guides you on your career path providing expert tips and sound advice along the way.